After the watching the successfully adapted to the stage Legally Blonde: The Musical in Australia, I had high hopes and expectations of Dirty Dancing – The Classic Story On Stage. 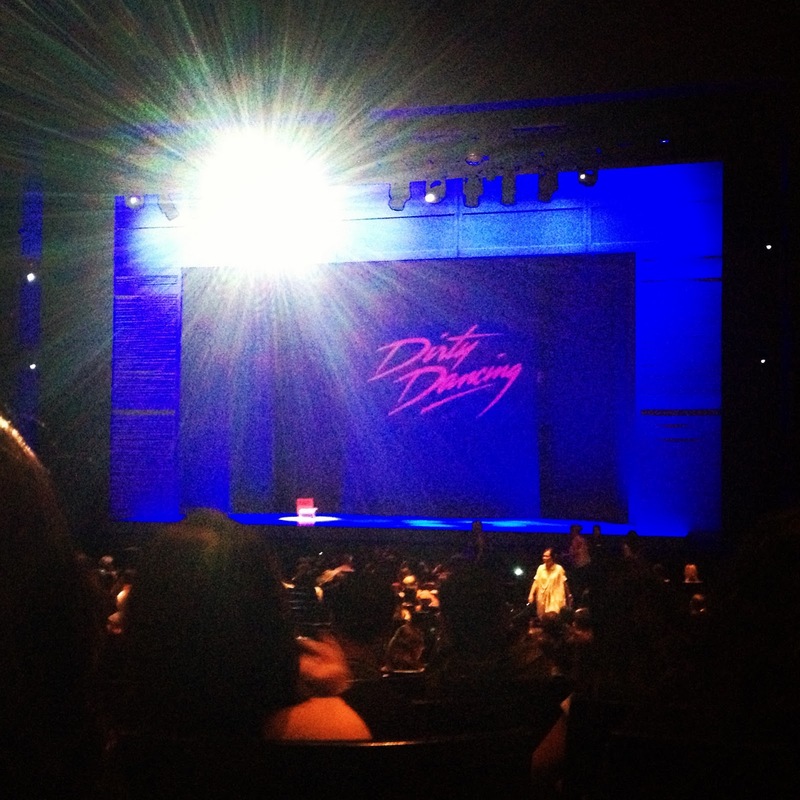 I kept waiting to be blown away by the musical adaptation of the Dirty Dancing film, but I waited in vain. With Legally Blonde: The Musical, script changes were made to suit the stage. 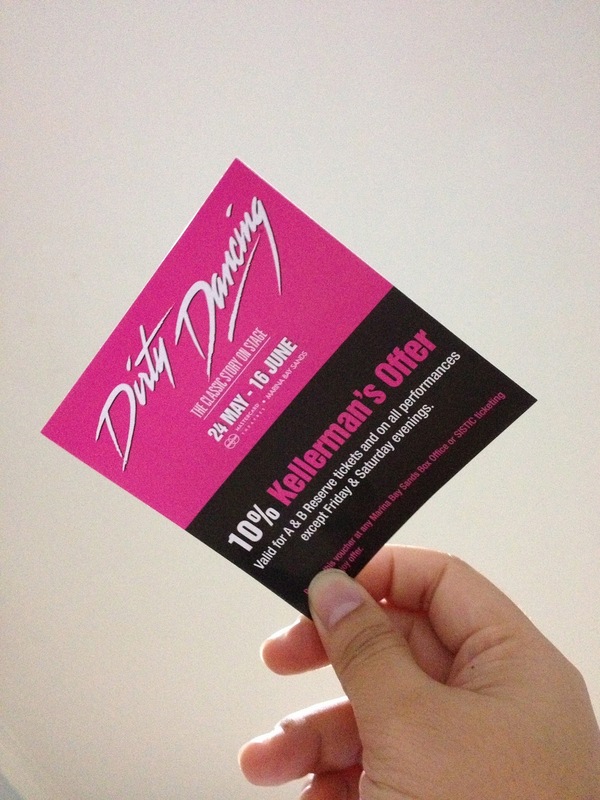 With Dirty Dancing – The Classic Story On Stage, nothing much was different from the film. I think staying true to the film was the intention of the writer and it is understandable because the screenwriter for the film also wrote the script for the musical. What I liked about the musical was the dancing. However, because I am not a dancer, although I can see how difficult the moves are, I can’t fully appreciate the difficulty of the moves. So while I liked the dancing, it didn’t connect with it as much as my friend who enjoys dancing and attended the musical with me. I also found it interesting the way the landscape was projected on the white screen for scenes of Johnny and Baby learning how to balance and learning the lift. It was unexpected and relatively effective. The finale with Johnny and Baby performing the complete (I’ve Had) The Time Of My Life dance piece was the best part of the entire musical. However, Genna Galloway’s performance as Lisa Houseman comes a close second to being my favourite part of the musical. As per her role, she had to sing totally off key and dance horribly. And she did that so well that it was truly a wonderful hair-raising performance that I hate to love. Unfortunately, that’s all I enjoyed about the musical. Perhaps because it was opening night, but I felt that the sound levels for the second half of the musical was way too loud. When the singers were performing, I tried really hard not to put my finger in my ear so that it wouldn’t hurt. That and the fact that during the first part of the second half, we could hearing construction going on outside. The drilling sound was really very distracting so thankfully it stopped after 10 to 15 minutes. Now let’s talk numbers. Apparently a total of 49 songs were sung, 73 scene changes, which are lit by 200 moving lights, and a total of 21 costume changes for Baby alone. The first thing that bothered me about Dancing – The Classic Story On Stage was the scene changes. There were so many scene changes, I was having trouble keeping up with them. I understood the need to set the period and explain the situation of the time in the film, but I felt that all the exposition about Martin Luther King etc was very distracting and way too fleeting. Also, although it is said that a total of 49 songs were sung, it feels as it there were more songs played rather than sung. I felt like I was watching a dance performance with some singing parts rather than a musical with choreographed dance moves. Okay, maybe it’s because dancing isn’t really my thing, but this musical really didn’t do anything for me. Of all the musicals I’ve been to, it’s my least favourite of all. In fact, I have 2 vouchers that will give you a 10% discount for A & B Reserve tickets on all performances except Friday & Sunday evenings that I can give away if you do want to go watch the musical. Let me know in a private message via my Entitled To Opinion Facebook page. While stocks last…. I only have 2.